Kamil Taşkın welcomed by İÜ Faculty of Communication Dean Prof. Dr. Nilüfer Sezer in her office got information about the faculty from Prof. Dr. Nilüfer Sezer. Kamil Taşkın who have been made succesful programmes since 2010 in Süper FM, also shares golden oldies with audiences every weekday on “Retroturk” ,radio of karnaval.com. 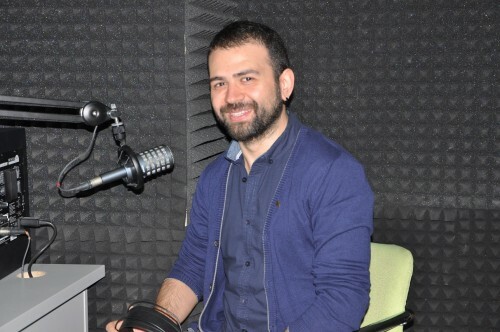 Kamil Taşkın talked about how and when he started radio broadcasting, contents of programmes he made on “Kara Kutu” programme that Radio İletişim programmer Tuğçe Açıkgöz presents. He also talked about his forward-looking expectations.